Mr. Jib Acharya (FHSS) gave an interesting presentation yesterday about the qualitative research findings of his PhD at Liverpool John Moores University. Jib’s PhD research focused on the knowledge, attitudes and beliefs of poor women in Nepal about healthy eating and the study also identifies major food barriers. His mixed-methods approach combines a quantitative questionnaire survey with qualitative research. Jib’s research project is supervised by Dr. Jane Murphy, Dr. Martin Hind and Prof. Edwin van Teijlingen. Some of the preliminary findings of this FHSS thesis have already been published in two scientific journals [1-2]. Acharya, J., van Teijlingen, E., Murphy, J., Hind, M. (2015) Assessment of knowledge, beliefs and attitudes towards healthy diet among mothers in Kaski, Nepal, Participation 17(16): 61-72. Acharya, J., van Teijlingen, E., Murphy, J., Hind, M. (2015) Study of nutritional problems in preschool aged children in Kaski District in Nepal, Journal of Multidisciplinary Research in Healthcare 1(2): 97-118. http://dspace.chitkara.edu.in/jspui/bitstream/1/560/1/12007_JMRH_Acharya. There has been a 206% increase in journal article deposits in BURO (via BRIAN) from January-June 2016 compared with the same period last year, 469 deposits compared to 228. Remember, to be eligible for submission in the next REF, journal articles and conference proceedings (with an ISSN), accepted for publication after 1 April 2016, must be made open access. In practice, this means the accepted version must be deposited in an institutional repository (BURO via BRIAN) or subject repository within a three-month period from the point of acceptance for publication. This generally means creating a brief manual entry rather than waiting for the data feed. Congratulations to Dr. Sarah Collard on her latest paper ‘The psychosocial impact of exercising with epilepsy: A narrative analysis’ in Epilepsy & Behavior. The paper offers valuable insight into the psychosocial benefits of and barriers to exercising with epilepsy and draw attention to the individual differences in how a person with epilepsy copes with uncontrolled seizures and their impact on his/her exercise routine. This knowledge can lead to future research in exploring how a person with epilepsy can overcome these barriers to exercise and encourage more people with epilepsy to enjoy the benefits of exercise. BU academics are editors on a wide range of scientific journals. As editors we often write editorials for academic journals which have a number of specific functions. It is a key means of communication between the editor(s) and the journal’s readership. It is also vehicle to highlight topical academic and political issues related to the journal and the discipline(s) it represents. Earlier this week the latest issue of the Journal of Asian Midwives came out with an editorial which is an illustration of the first point giving information to the readers . The topics addressed in this editorial included the announcement that this new journal was now indexed in the CINAHL Database, a recent major international conference in the field and a call for the forthcoming 2017 ICM (Internation Confederation of Midwives) tri-annual conference. Today saw the publication of an editorial on the Zika virus and its potential impact in Nepal in the journal Medical Science . This guest editorial co-written by BU’s Visiting Faculties Dr. Brijesh Sathian and Prof. Padam Simkhada with Prof. Edwin van Teijlingen (Centre for Midwifery, Maternal & Perinatal Health) calls for action in Nepal. A country where malaria is endemic. The Zika virus uses mosquitoes like the ones spreading Dengue fever and malaria. Zika is a virus we do not wish to see spreading in countries where malaria is already rife. The editorial warns that precautionary measures are needed to prevent a Zika outbreak as the spread of the virus to the country seems inevitable, the only uncertainty is when it will be arriving. Both journals are Open Access which means these editorials can be read by anybody with internet access free of charge. Best Paper for 2015 Award in the international journal Heart. A paper published by Bournemouth University PhD student, Edward Carlton, and his supervisors, Prof. Ahmed Khattab (FHSS) and Prof. Kim Greaves from the University of the Sunshine Coast in Australia in collaboration with world-renowned hospitals: John Radcliffe Hospital in Oxford; Royal Brisbane & Women’s Hospital in Australia; and Christchurch Hospital in New Zealand has been announced as the Winner of the “Heart Best Paper 2015 Award” . This award is in recognition of the high quality and clinical impact of the paper. The winner for this award were chosen by the Editorial Team from the top 10 papers in each of the following three categories: downloads, citations and Altmetrics Score. Dr. Edward Carlton has just finished his PhD at BU and he is now working as an Emergency Medicine Consultant in Bristol. 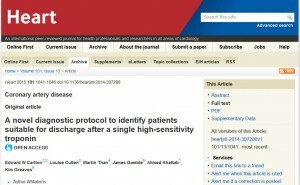 Carlton EW, Cullen L, Than M, Gamble J, Khattab A, Greaves K. A novel diagnostic protocol to identify patients suitable for discharge after a single high-sensitivity troponin. Heart. 2015 Jul;101(13):1041-6. doi: 10.1136/heartjnl-2014-307288. Epub 2015 Feb 17. Today BU staff and post-graduate students published our latest diabetes paper. 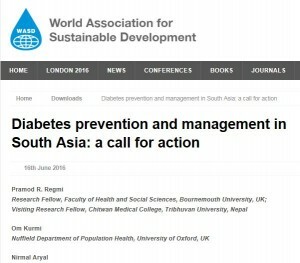 In the International Journal of Food, Nutrition and Public Health (IJFNPH) publish by the World Association for Sustainable Development (WASD) you’ll find ‘Diabetes prevention and management in South Asia: a call for action‘. The lead BU author is Dr. Pramod Regmi. he is joint by Faculty of Health & Social Sciences (FHSS) PhD student Ms. Folashade Alloh as well as Prof. Edwin van Teijlingen of the Centre for Midwfiery, Maternal & Perinatal Health (CMMPH). Further national and international co-authors are: Dr. Om Kurmi based at the Nuffield Department of Population Health, University of Oxford; Dr. Nirmal Aryal, from the Department of Medicine, University of Otago, New Zealand; Dr.Puspa Raj Pant based at the Centre for Child and Adolescent Health, University of the West of England; and Amrit Banstola based in the Faculty of Health and Applied Sciences, also at the University of the West of England. The paper can be found here! Please note, you need to be a WASD member to login and download this paper. Once you are logged in you will see a ‘Download’ button in the box above. If you do not have a login, you can register to join WASD free of charge. 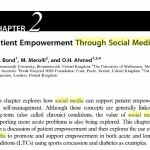 The week saw the publication of a new book by Elsevier (June 9th) Health Through Social Media which contains a chapter by FHSS staff Drs Carol Bond and Osman Ahmed called ‘Patient Empowerment Through Social Media’. 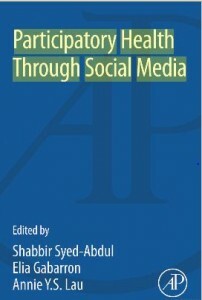 Carol and Osman have a wide-ranging experience in researching and publishing about e-health, m-health and social media. They co-authored this topical chapter with a colleague in Australia. We like to congratulate Ms. Preeti Mahato, Ph.D. student in the Centre for Midwifery, Maternal and Perinal Health (CMMPH) in the Faculty of Health & Social Sciences, has been awarded a Civil Society Scholar Award by the Open Society Foundations for US$ 8,000. The Civil Society Scholar Award offers support for international research activities, such as fieldwork, research visits, or research collaboration at institutions abroad. Preeti has been awarded her scholarship for her Ph.D. fieldwork in Nepal. Her Ph.D. project is a mixed-methods study of birthing centres in Nawalparasi, in southern Nepal. 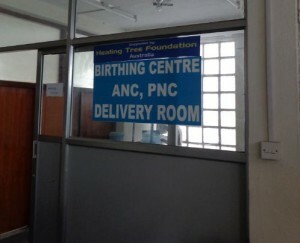 In Nepal, birthing centres act as first contact point for pregnant women seeking maternity services especially basic obstetric care. Preeti is supervised by Dr. Catherine Angell and Prof. Edwin van Teijlingen, both based in CMMPH and BU Visiting Faculty Prof. Padam Simkhada, who is based at Liverpool John Moores University. This is the third piece of really good news this year for Preeti as last month she gave birth to a lovely baby girl and earlier this year the first article from her Ph.D. research was accepted for publication in the Asian Journal for Midwives. Congratulations to FHSS PhD student Sheetal Sharma on her latest paper . The paper ‘Measuring What Works: An impact evaluation of women’s groups on maternal health uptake in rural Nepal’ appeared this week in the journal PLOS One. Sheetal’s innovative mixed-methods approach was applied to a long-running maternity intervention in rural Nepal. The paper concludes that community-based health promotion in Sheetal’s study had a greater affect on the uptake of antenatal care and less so on delivery care. Other factors not easily resolved through health promotion interventions may influence these outcomes, such as costs or geographical constraints. The evaluation has implications for policy and practice in public health, especially maternal health promotion. Congratulations to Katharine Barnard and Janet James in FHSS and their colleagues in the USA and Sweden on their latest publication on the ‘Impact of Chronic Sleep Disturbance for People Living with T1 Diabetes’ . Recently Dr. Barnard also co-authored an editorial in the international journal Diabetes under the title ‘Psychosocial Aspects and Diabetes Technology – Head to Head or Hand in Hand?’ . Finally, the third recent paper by Dr. Barnard and colleagues from across the UK was published in Diabetes Care, the journal of the American Diabetes Association . Barnard, K., James, J., et al. Impact of Chronic Sleep Disturbance for People Living With T1 Diabetes J Diabetes Sci Technol 2016; 10: 762-767. This week saw the publication of a new paper co-written by BU staff in the Sociological Bulletin. This is the first paper comparing Indian and Nepali Maoist rebels providing health services and health promotion to the communities under their influence. It presents the key provisions either made by rebel health workers themselves or by putting political pressure on government health workers to deliver better services in the areas controlled by rebels. 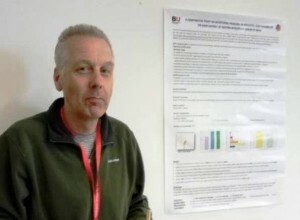 Prof. Edwin van Teijlingen’s co-authors are based in India and Nepal. Prof. Gaurang R. Sahay is based at the Centre for Study of Developing Societies, Tata Institute of Social Sciences, Mumbai, India, whilst Bhimsen Devkota is Professor in Health Education, Tribhuvan University, Nepal. This sociological paper is based on a mixed-method approach comprising 15 interviews and a questionnaire survey with 197 Nepalese Maoist health workers and a secondary analysis of policy documents and other published materials on the Maoist health services of India. The paper suggests that rebel health services in India and Nepal followed a fairly similar approach to what and how they offered health care services to local populations. Maoists becoming a government party changed the political landscape for the rebel health workers in Nepal. However, not incorporating the Maoist rebel health workers into the government health system was a missed opportunity. There are lessons that India and Nepal can learn from each other. Should the Maoist rebels and the Government of India come to an agreement, potential for rebel health workers to be integrated in the official health care system should at least be considered. The paper benefitted from an earlier review through eBU: Online Journal. The feedback from the eBU: Online Journal’s reviewers helped shape and polish the paper before submission to the Sociological Bulletin. Dr. Jenny Hall in CMMPH published her latest article ‘Facilitating learning of spirituality in midwifery’ in the academic journal Spiritual Care . She highlights that there has been considerable discussion in the literature around spirituality at the end of life but little relating to childbirth. 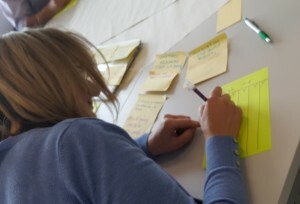 Perhaps because of this facilitation of learning around the subject is limited. The aim of this article is to raise awareness of these issues and promote future discussion and research. 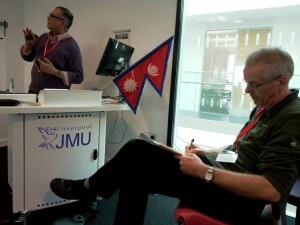 On Thursday 14th April Dr. Bibha Simkhada (Liverpool John Moores University & BU Visiting Faculty) and Prof. Edwin van Teijlingen presented their education research in Liverpool. 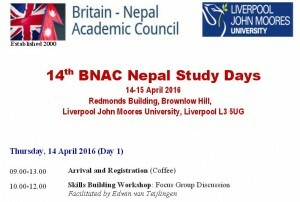 The work is part of a THET-funded project at the 14th Britain-Nepal Academic Council (BNAC) Nepal Study Days. 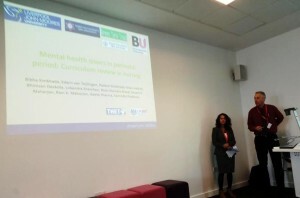 The presentation ‘Mental Health Training and Education in Nepal‘ is part of an international project led by Bournemouth University. BU collaborates with Tribhuvan University (Nepal’s largest & oldest university) and Liverpool John Moores University (LJMU). The project receives funding from DFID, and is managed through THET and supported locally in Nepal by a non-governmental organisation called Green Tara Nepal. The project takes UK volunteers, people with experience in midwifery, mental health, higher education, nursing, health visiting, etc. to the southern part of Nepal. 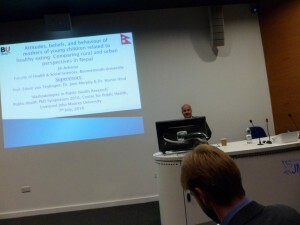 Mental health is a difficult topic to discuss in Nepal (as it often is in the UK). This makes it hard for front-line health workers, especially non-mental health specialists, to start a discussion about mental health issues with patients. As part of this THET-funded programme to train community health worker such as Auxiliary Nurse Midwives (ANMs) on mental health issues related to pregnancy, we conducted a review of all relevant health curricula in Nepal. The key findings are that mental health issues in pregnancy and childbirth are often lacking in the curricula for both nurses and ANMs as a result community-based staff lack training in this topic. There is a great need for a curriculum to facilitate relevant training for ANMs. We would like to repeat our call for volunteers. If you are a health or education professional with an interest in mental health and/or maternity care and you are interested in volunteering later this year for a week to ten days in Nepal please contact Edwin van Teijlingen (evteijlingen@bournemouth.ac.uk ). 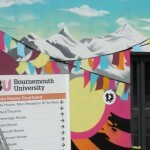 Anybody interested in learning more about Focus Group Discussions as a research method should consider signing up for up for Bournemouth University’s two-day Masterclass ‘Focus Group Research‘ to be held next week Monday 18th and Tuesday 19th April in Bournemouth. Over a two-day period this Masterclass will cover the journey for a research project on focus group research. Basic previous knowledge on qualitative research will be assumed. van Teijlingen, E.R., Pitchforth, E. (2006) Focus Group Research in Family Planning and Reproductive Health Care, J Fam Plan Reprod Health Care 32 (1): 30-32. Pitchforth, E., Teijlingen van, E., Ireland, J. (2007) Focusing the group, RCM Midwives J 10(2): 78-80.